Dr. Walter Temme has served as the director of the Mountain View High School (MVHS) orchestra program for more than two decades. Since 1994, he has played an instrumental role in building an orchestra program distinguished by its high level of performance. During his tenure, the orchestra program has expanded from two orchestras and a combo group to five orchestras plus an extracurricular electric strings program. Under the direction of Dr. Temme, our orchestras have performed by invitation at the Midwest Band and Orchestra Clinic held annually in Chicago, the Arizona Music Educators Association In-Service Conference, a special engagement at Carnegie Hall, and at international orchestra festivals in Russia and Austria. Served in leadership positions with both the Arizona unit of ASTA and the Arizona Band and Orchestra Directors Association (ABODA). Recognized for his excellence as an orchestral conductor, adjudicator, and clinician, Dr. Temme is frequently asked to serve as a conductor/clinician with the Arizona Junior High All-State Orchestra, the Greater Phoenix Honor Orchestra, and Regional Honor Orchestras. 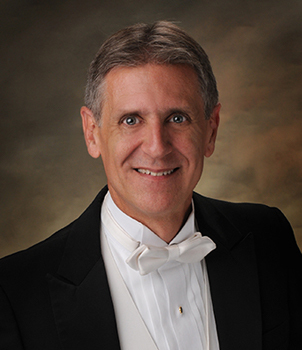 In addition to his responsibilities at MVHS, Dr. Temme serves as the director of the Phoenix Youth Symphony Symphonette Orchestra, a position he has held since 1988. During the summer break, he regularly guest conducts at the NAU Curry Summer Music Camp in Flagstaff. Early in his career, Dr. Temme was a member of the faculties at Humboldt State University in California and Wartburg College in Iowa as a conductor and studio instructor. Dr. Temme also performed as the violist of the Kansas State University Faculty String Quartet and attained the position of principal violist of the Topeka Symphony.